BINIBINING Pilipinas-Grand International 2015 Parul Quitola Shah, along with the 83 other delegates for the 3rd Miss Grand International Pageant, are in the thick of rehearsals for the grand finals to be held at the Indoor Stadium Huamark in Bangkok, Thailand on Sunday. Last weekend, Parul was chosen as one of the 20 finalists for the national costume competition, with the winner to be announced at the finals show. Beaming with patriotic pride, Parul wore a gold and yellow Muslim-inspired ensemble created by Manila designer Edwin Uy. The elaborately-embellished attire included a matching headpiece and a pair of fans that Parul swished with grace as she paraded on stage. Born in Dubai to an Indian father and a part-Indian mother, Parul represented Pangasinan, her mom’s hometown, at last year’s Bb. Pilipinas pageant in 2013 where she made it to the top 15, and last year where she finally nailed the Bb. Pilipinas-Tourism 2014 title. After Binibining Pilipinas Charities Inc. acquired the franchise for Miss Grand International last month, Parul was appointed as Bb. Pilipinas-Grand International 2015 to vie for the Bangkok-based international tilt that campaigns to fight wars in the world through their beautiful ambassadors of peace. Parul is upbeat about Sunday’s finals where she hopes to win the coveted crown currently held by Cuba’s Daryanne Lees, and continue a victory streak for Bb. Pilipinas international campaigners this year after Bb. Pilipinas-Tourism 2015 Ann Lorraine Colis won the Miss Globe 2015 title in Toronto, Canada two weeks ago. Parul is among the early favorites who are likely to figure prominently in Sunday’s finals. The other favorites are the delegates from India, Dominican Republic, Netherlands and Thailand. 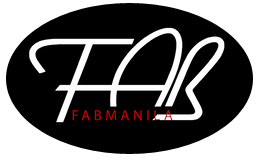 Fabmanilaph wishes Parul all the best. Bring home the Miss Grand International crown! Miss Globe 2015 is Philippines!